Busan, the second-largest city in South Korea, is once again living in terror of biological warfare experiments in the aftermath of renewed allegations that US troops stationed in South Korea are conducting such tests at the city’s seaport. Every morning, dozens of residents and activists gather to block the entrance to the Pier 8 military storage centre for US Forces Korea in Busan’s Nam district, to stop the US soldiers from going to work. While JUPITR’s stated aim is the development of early-warning detection capabilities to protect the USFK and South Korea from biological and chemical threats, it has been the subject of constant criticism since 2015. In May 2015, the Pentagon confirmed that its laboratory in Utah had “inadvertently” sent live anthrax samples to one of its military bases in South Korea, rather than the inactivated samples that were meant to be delivered for the project. The USFK has denied allegations that it is conducting biological tests using hazardous materials such as live agents or toxins, but the debate still rages on. “Why don’t they (the United States) just conduct the tests inside their country? Why in S. Korea?” Kim Suk-heun, the leader of a regional civic task force calling for an end to the “biological weapons lab,” told The Korea Herald. The controversy over the biosurveillance project resurfaced in March when a local daily ran a report citing the US Department of Defense Fiscal Year 2019 Budget Estimates, under which more than $3.5 million was allocated for JUPITR at Pier 8 — showing that the project is still ongoing. The budget estimates, which set aside funds for live agent tests, fanned public suspicion about the project. “They say they only have detection devices (for biological agents) and that they do not run tests, but last year’s budget clearly shows that their program includes experiments using live agents,” Kim said. The fear also spread to Pyeongtaek, Gyeonggi Province, where the USFK’s Camp Humphreys is located, prompting the city to request USFK’s clarification on the issue. The US military base also operates laboratory facilities and allocates part of its budget for the JUPITR ATD project. On April 2, the USFK released a statement explaining that it has not conducted any experiments involving biological or chemical agents. The USFK also told The Korea Herald that the funding specified in the budget estimates for the JUPITR program had been realigned to other chemical and biological early-warning programs in the United States. “Improvements and upgrades to the JUPITR program formally ended in 2018, but the passive defensive early warning capability remains,” the USFK said, adding that there are no firm decisions in place on any potential new programs in South Korea associated with the threats. The JUPITR ATD project was launched in April 2013 in support of US policies recognizing the importance of detection capabilities to guard against biological and chemical threats. Led by the US Joint Program Executive Office for Chemical and Biological Defense and the US Army Research, Development and Engineering Command’s Edgewood Chemical Biological Center, the project was touted as the Pentagon’s flagship project for “how biosurveillance would manifest itself,” said Peter Emanuel, the leader of JUPITR ATD at the time in 2013, in a December 2014 interview with CBRNePortal.com. The project consists of four parts: Early Warning, Biological Identification Capabilities Sets, Assessment of Environmental Detectors and a Biosurveillance Portal. Together, they are designed to form a comprehensive surveillance and reaction system to guard against biological and chemical threats. The lack of any explanation about the project and what is happening in South Korea has amplified people’s fears. North Korea stepped up its rhetoric against the US program via its news outlet in March, saying the United States was preparing for biochemical warfare to “control the entire Korean Peninsula” in a “barbaric manner.” It also stressed that the North does not possess any biological or chemical weapons. The 2015 anthrax incident led to some changes. In the joint panel investigation conducted following the incident, the USFK admitted that it had carried out biological equipment testing and proficiency training after importing inactivated biological agent test samples from the US. The investigation report revealed that the USFK had brought in and tested dead anthrax samples 15 times at Yongsan Garrison in central Seoul between 2009 and 2014. In 2015, 1 milliliter of inactive Yersinia pestis (bubonic plague) samples were delivered to the Osan Air Base for JUPITR — along with the live anthrax sample, rather than the intended inactivated anthrax sample. Following the incident, the S. Korea-US Status of Forces Agreement was revised to mandate that the USFK file a report with the Korea Centers for Disease Control and Prevention when importing any biological agent, including inactivated biological agents. 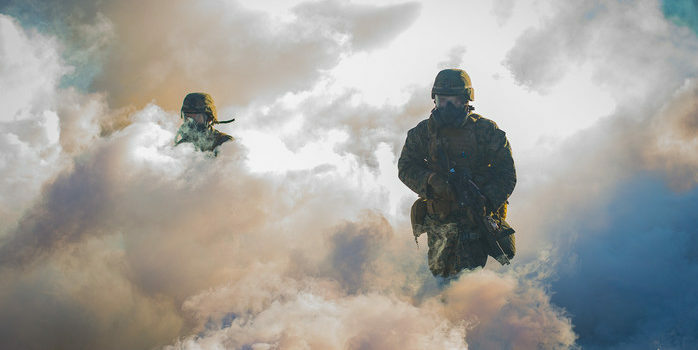 The Defense Ministry said it recently confirmed with the Korea Centers for Disease Control and Prevention that no cases have been reported by US troops since the revision of the SOFA. “USFK works very closely with the S. Korean government by reporting scheduled shipments of any JUPITR-related resources within the SOFA Disease Prevention and Control Subcommittee,” the USFK told The Korea Herald. While the US Army has been promoting the project as a way to cut costs and time and provide better performance results by introducing new instrumentation to upgrade biothreat detection capabilities, not much has been revealed to the South Korean public. “It is a military issue, and it is difficult to inform the public of every detail about the project,” an official who refused to be named due to the sensitivity of the matter said when asked to confirm details of the project. Emanuel, currently senior research scientist for bioengineering at the US Army’s Edgewood Chemical Biological Center, also said the alliance with South Korea had led to the biosurveillance project being conducted in the country, adding that the USFK had requested the capabilities. “The reality of the situation is that the senior leadership in the USFK asked for capabilities, and they made themselves available to test these forward-leaning ideas,” he said in the 2014 interview with CBRNePortal.com. Currently, only Pier 8 in Busan and Camp Humphreys in Pyeongtaek are officially confirmed as operating the JUPTR program. But the Osan and Gunsan air bases also appear to have been venues for the project. In 2016, the Edgewood Chemical Biological Center managing the JUPITR ATD “did a complete make-over of two existing Air Force labs and also set up an Army lab from scratch,” Brady Redmond, the laboratory project lead, was quoted as saying in an article posted by the US Army Combat Capabilities Development Command Chemical Biological Center on April 15, 2016. The biological agent test scare is ongoing. There are more allegations that the experiments may have involved other infectious diseases. “They are said to be dealing with deadly biological agent samples such as plague and anthrax — weapons of mass destruction. Even if they do not intend it, accidents can happen and that would just be horrendous,” Kim said. In addressing the residents’ concerns, the Nam district governor and Busan City officials criticized the project, while lawmakers across the aisle have proposed bills to prevent biological agents from entering the country. “(The proposed bills) are unlikely to be passed because of the SOFA regulations. So I am currently negotiating with the Defense Ministry and the Prime Minister’s Office to allow the residents to conduct on-site inspections,” said Rep. Park Jae-ho of the ruling Democratic Party of Korea, representing Nam district’s B division, told The Korea Herald. While the Defense Ministry is reluctant to speak about the JUPITR ATD project, saying it is a US military project, it reiterated that US troops are not conducting any biological tests at military bases here. “We are making efforts together with the USFK to find ways to raise people’s understanding of the biosurveillance operation,” a ministry spokeswoman said. USFK officials also said they are reviewing ways to address misunderstandings among the general public.